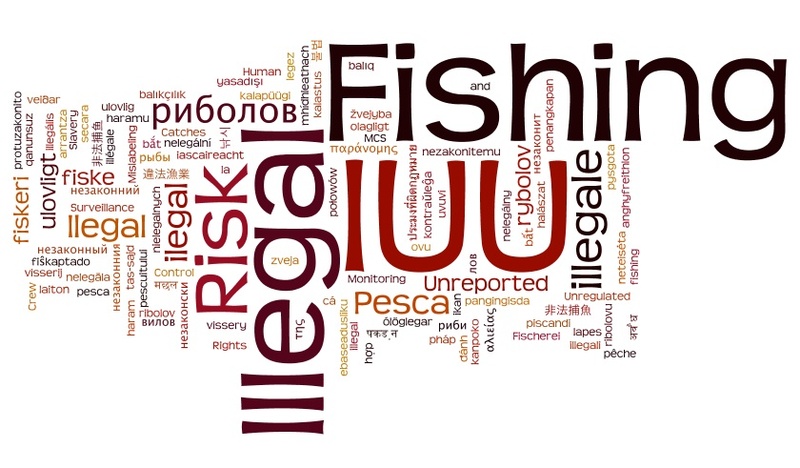 Illegal, Unreported and Unregulated (IUU) fishing has been identified as one of the important drivers affecting sustainable management of fish stocks worldwide. 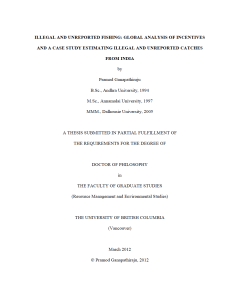 The thesis employs three approaches to identify and evaluate drivers of illegal and unreported fishing worldwide. First, a case study approach was used to determine adequacy of monitoring control and surveillance in fisheries of 41 countries. Results demonstrate that MCS is poor with both developing and developed countries having problems in this area. The second approach used 1211 illegal fishing penalty cases in 109 countries to show that low penalties provide incentives for IUU fishing to persist in many EEZs. Finally a detailed analysis of the Indian EEZ exemplifies the problems of developing countries by evaluating various stages where illegal and unreported catches occur in commercial and small-scale fisheries. Results from each of the nine maritime states in India (including the remote Andaman and Nicobar Islands) reveal that 45,000 to 60,000 tonnes is taken annually by illegal foreign fishing vessels, while 1.2 million tonnes of discards and 293,000 tonnes remain unreported in the small-scale and commercial trawl fisheries.